I am new to the Apple II GS (and pretty new to retro apple computers). And I found this forum in hopes to find some help. I have experience with IBM PC's going back a ways. But becoming more interested in other old computers from Atari, Amiga, and Apple too. Recently picked up a nice Apple II GS with keyboard and mouse and disk drives. It boots up fine, and I played a few games on it using keyboard and a joystick too. They work fine. But for some reason the mouse doesnt work when I boot into something like GE OS, or a game like zany golf which is supposed to use the mouse. I had another ADB keyboard and mouse from a slightly newer Apple computer, but that mouse didnt work either. I tried plugging mouse into port on back of the computer, and into both of the other keyboards I found. It just seems like the IIGS doesnt want to talk to the mouse. I am very excited to have the IIGS running, but pretty bummed the mouse isnt working. Was hoping someone has seen this before and has some ideas about what is going on. I dont think I need any drivers to make it work like I did on old DOS computers and some old DOS games. Also, it has a memory expanstion card, and with or without the card in there the mouse still doesnt work. Also, I was able to go into (what I would call the control panel of the IIGS) by hitting some option key+ combination. I saw dozens and dozens of settings in there. There was only one setting about the mouse which was about enabling a high speed mouse setting, which was enabled. You might have a problem with the card slot settings in classic control panel. press I believe Apple-control-escape and then goto slots, goto slot 4 and use the left or right arrow key to put it to mouse port, and you should be good. then you should be out of the control panel. Then do the "three finger salute" (control-apple-reset), and hold control and apple about a second longer than the reset key and you should have reset the computer to look at the disk drive. If the mouse works in the program you have loaded, GOOD! if not some assistance from other members are required. Thanks so much for taking time to post all those pictures. 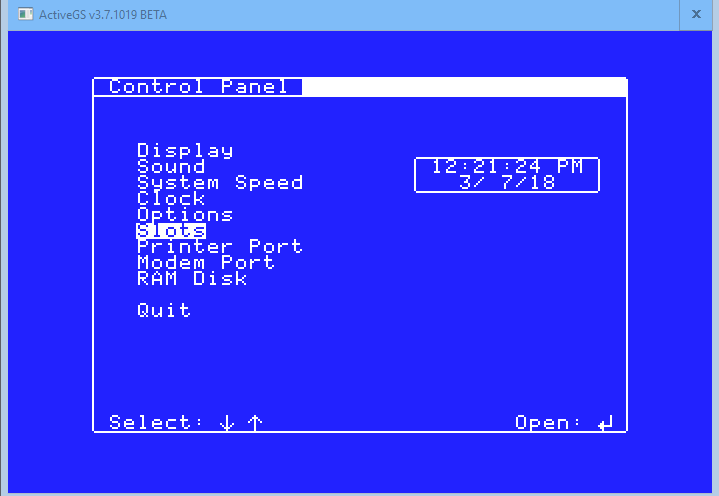 Before I posted my question, I did learn about how to get into that Control Panel for the IIGS. I saw that slot 4 was set to mouse. In fact, all those settings look like what mine was set to. 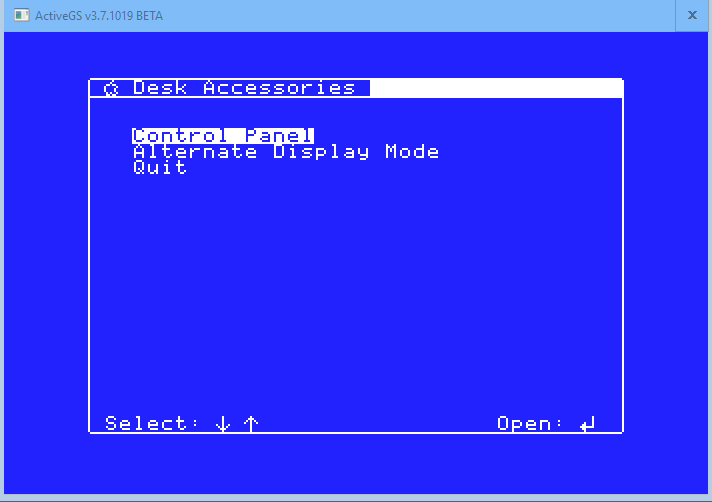 I tried 3 different ADB keyboards and mice combination, and never did the mouse move around in that zany golf game nor when I loaded up GEOS or PRODOS. The moue pointer just sat up in the upper left corner of the screen. So that leaves me wondering, am I supposed to be loading some kind of a mouse driver before a game like zany golf would work? 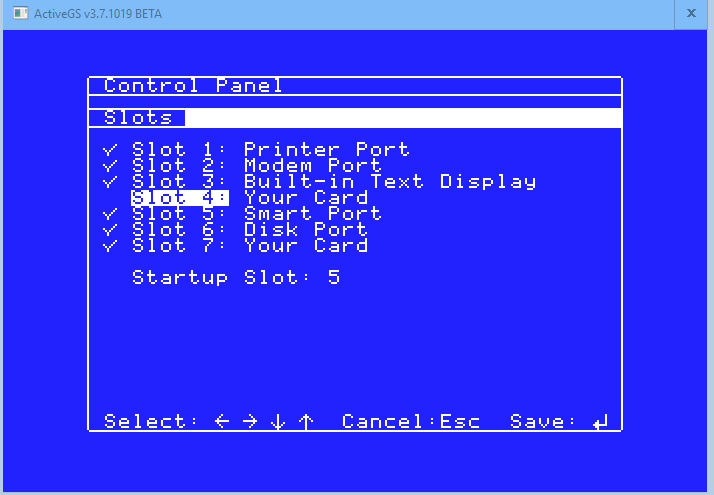 From what I have learned so far is that the mouse should be working after booting into that game because the Apple IIGS is supposed to make it work on its own without my loading drivers. Also, it says ROM 1 on one of the screens I saw. Just wanted to mention that. Yep, first thing I did. Believe it or not, its totally clean. This IIGS is super duper clean, and no exploded battery. The thing pratically looks brand new inside and out except for a little yellowing of the case. Also, it does retain the system date. Has anyone seen this happen, where the mouse just is not working, but keyboard and joysticks are working OK? It's very odd, since the keyboard and mouse share the same circuit path. ALSO I found this slick product called ADB-USB which apparently lets you use any USB mouse (and probably other USB devices maybe??) with the Apple ADB bus. So I am hoping that will give me my mouse back. Until maybe I can understand why its not just working correctly at this point on the ADB bus. Was just hoping someone else has seen this before, and has idea what would cause it to act this way. Hi. Do you have a link or more info on that? Thank you. So the ANB-USB wombat device did not make the mouse work. How wierd. They USB keyboard worked fine when connect to a usb hub => which was connected to the wombat. Its a great device, but something must be wrong with my Apple IIGS. Maybe I have a slightly bad logic board? 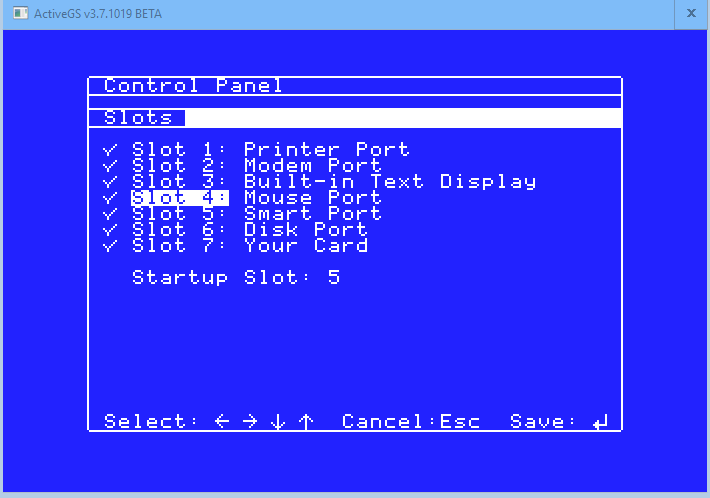 I am still assuming, correct me if I am wrong, that I am not supposed to be loading mouse drivers 'first' before using the GEOS operating system or play zany golf which requires the mouse. No drivers needed. As long as the slot is set to mouse port, it should work. Sounds like it is dead. Very strange, as I would think the keyboard would also be dead in this case if there was a board fault, but you never know. I've got a couple of good tested IIgs boards if you want to buy a replacement, just PM me. Hi. Thank you for the link. I am running into a similar issue here myself. I just received a Apple IIGS bare bones with original 5’25 and 3.5’ Disk drives and ADB keyboard and mouse. When I just have the Keyboard connected using either side of the keyboards ADB ports everything works as usual. When I attempt to connect the mouse and boot up both and mouse and they keyboard do not function. I have even tried the “Control Pannel Settings” Mouse spot is active. At this time I am able to load up any applications. They keyboard only functions when the mouse is﻿﻿﻿﻿﻿﻿﻿ not connected. I also attempted to connect the Mouse direct without the keyboard and the mouse still did not function. This is my oly legacy Apple computer and do not have any other way to test the ADB keyboard and mouse and was a little hesitant about purchasing another mouse online. Any further help would be much appreciated.